Manchester United’s new caretaker manager Ole Gunnar Solskjaer admits he took notes in training during his time as a player under Sir Alex Ferguson. The Norwegian boss got off to the best possible start in his new role with the Red Devils on Saturday evening, as he oversaw a 5-1 thrashing of Cardiff City in Wales. A brace from Jesse Lingard and goals from Anthony Martial, Ander Herrera and Marcus Rashford ensured the visitors grabbed the three-points in emphatic style, scoring 5 goals in a Premier League game for the first time since 2013. Solskjaer’s aim is to restore fluid, direct, attack-minded football at Old Trafford, having been a key part of the team as a player during a golden era of success between 1996 and 2007. He confessed post-match against Cardiff that he kept a training diary under Fergie, which has shaped his own managerial style and helped him succeed at Molde in Norway. “Early on as a player, I used to keep a training diary,” said Solskjaer, as per the Daily Mirror. “It was just details of what we did in training. “But when I was about 27 or 28 I started making more detailed notes of what the gaffer actually said and how he reacted to different situations. Watch every goal from our win at Cardiff NOW in the #MUFC Official App! “I wrote all these little gems, little inputs that he made. I used quite a few of them back home to be honest at Molde – and they worked! Next up for the new Red Devils chief and his players is a home clash against Huddersfield Town on Boxing Day, before Bournemouth visit Old Trafford on December 30th. United will then kick off 2019 with a trip to Newcastle on January 2nd and by that time the whole complexion of their season might have changed for the better. 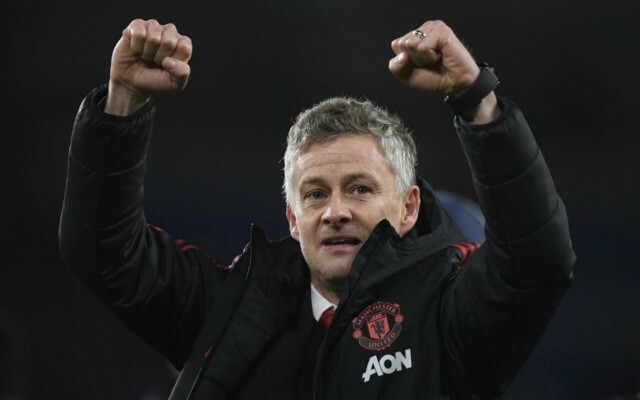 Solskjaer’s men are now eight points off the Champions League places and if they can reproduce the same level of performance as they did against Cardiff in upcoming matches, there is every chance of reducing that gap further to completely dispell the ghosts of Jose Mourinho’s ill-fated reign at the helm.